There’s Nothing Like the Smell of… Leather? I present Instinct, the newest in the line of body spray, wash, and deodorant by Axe. With orange scratch marks adorning the containers, one can only guess that the aroma is vivaciously aggressive. What is instinct supposed to smell like you ask? Nothing less than roundhouse kick to the olfactory system with leather chaps on. Perhaps you prefer the stinging sensation of your favorite leather whip- get’s your attention upon contact, but seconds after that, it feels good, real good. You get my drift. Us guys can now smell like rich leather, which according to Askmen.com is the unmistakable scent of pure masculinity. Is it just me or am I the only one that thinks leather isn’t particularly a desirable smell? I suppose I’ve had bad experiences. For one, I got some nice Italian leather shoes for Christmas. I opened the box, and was really excited to use them at work. And then a few seconds later, the smell hit me. Rather, the PUNGENT leather aroma suckerpunched me in the nose. It was God-awful. Not a problem right? This should wear off in a few days, right? So I wore them to work. Oh no, the smell didn’t go away. It was so strong it smelled like gasoline. A whole hell of a lot of gas. And luckily for me and everyone in the office, the source was strapped onto my feet for 8 hours! It is now July, and those damn shoes still smell fresh off the cow. I believe it works 60% of the time, all the time. But yet, I’m intrigued. I think I’ll have to try it out, for the sake of The Heap. Perhaps it will be our first product review? 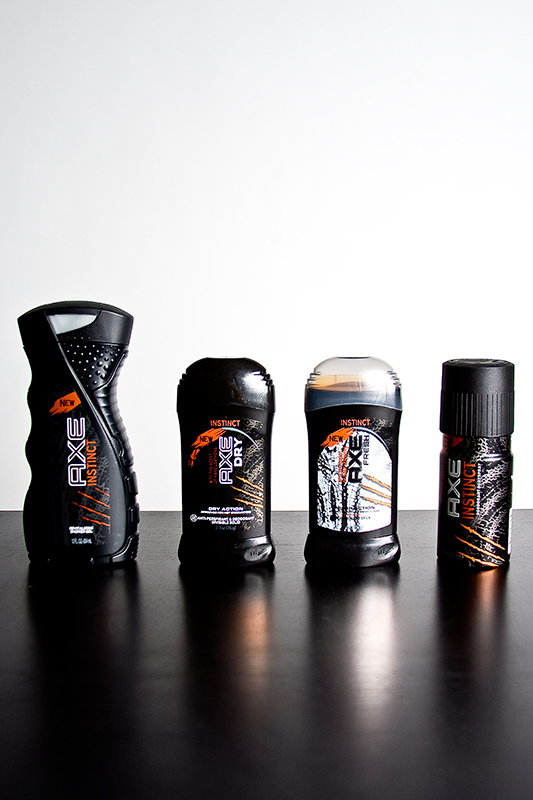 I’m almost out of Axe Vice Body Wash. I’ll have to give it a try next time. I’ll keep you updated. Looks like the ads and intrigue worked. I’ll have to get some soon. Sacha Baron Cohen’s latest character to make the jump from the famed “Da Ali G Show” to the silver screen is Bruno, a flamboyant homosexual fashion reporter. Cohen’s film Bruno makes it a point to incessantly and shamelessly flaunt the main character’s sexual orientation while trying to create some semblance of a plot. The previews for the film almost assured a laugh-fest, much like Cohen’s runaway “mockumentary” hit Borat was in 2006. Though admittedly, I must have wondered more than a few times how funny can a movie about a gay fashonista prancing around in revealing clothing be funny. Or perhaps more appropriately, how long could it be funny? The audience is introduced to Bruno, a successful Austrian fashion reporter as the movie begins. A montage of his ironic, self-imposed social status ensues, as we see situations in which he is able to gain access to the best shows, seats and exclusives with celebrities. Public life was good for Bruno. And then the “fun” begins. Within the first 15 minutes of the film, Cohen makes it very clear that Bruno will have no problem crossing the lines of public humiliation, interaction, and exploitation that Borat did a few years ago. In fact, in those first 15 minutes, Bruno easily exceeds the level of gross, bodily humor that made Borat so funny. Unfortunately, it was too graphic and shocking, taking away from a semi-decent premise. Like its predecessor, Bruno aims to expose American (and even global) portrayal of the homosexual. The audience experiences painfully awkward scenes where the only viable reaction is to laugh or just shout in amazement of what has just occurred. In an ironic twist, when Bruno tries to pitch a celebrity interview show in Hollywood, the board of reviewers asks, “What kind of sick person came up with something like this?” You’ll ask yourself this question numerous times. Bruno succeeds in addressing the conservative beliefs still held by many Americans today despite the extreme methods in which Cohen chooses to expose these behaviors- assuming that these parts are not scripted. It also examines and exposes social “machismo,” by having Bruno try vigorously to shake his homosexuality by being surrounded by overly straight men. It is much more evident which parts are scripted and which are not in Bruno. There is simply no way Cohen could get away with the stunts he pulled in Bruno without prior scripting and warning. It’s much harder to discern these moments in Borat, as it was much more believable- at least to me anyway. The primary concern of the film, however, despite strong homosexual overtones, is the caricature of the American celebrity. The audience is given the impression that becoming a celebrity in the US is kind of easy, since Bruno attempts this immediately without a second thought. He seems to be toying with what has become a reality in our society- ANYONE can have a reality TV show or blog and achieve celebrity status by simply being extreme, having some sort of a gimmick, or just mimicking the actions of current celebrities. (Swipes at Perez Hilton anyone?) The adoption of a child from Africa was particularly genius. Overall, the movie doesn’t meet expectations. It was more astoundingly shocking that funny. You were almost forced to laugh, just because there wasn’t any other appropriate reactions to what was going on in the movie. The plot is there, but it is mostly just short bits loosely tied together by an attempted storyline. The extreme and graphic depictions of homosexual acts and male genitalia detract from an other wise smart, biting satire of the American celebrity and sexual conservatism. It’s enjoyable, but only a one time view, and it is hard to justify spending 9 or so dollars to go see it. Introducing a new segment for us here at The Heap! Song Stuck in the Pile will function as a “Song of the Week (or moment) that has gotten in my head and I just can’t stop listening to. 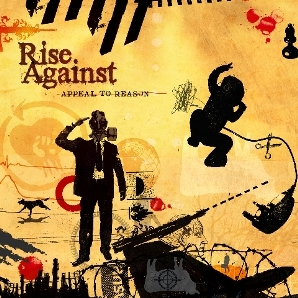 This week, for our initial entry, it’s Midwest rock group Rise Against, with the latest single “Savior” of their new album “Appeal to Reason.” RA often includes one “love song” on each album, though this song in particular does offer a particularly perverse love story. But, as expected from a band with the sophistication of RA, there has to be multiple meanings. The lines referring to “the telling signs of age” and “aging face” suggest an older woman. We must keep in mind the name of the album- Appeal to Reason. Could it be a reference to Lady Reason? I believe so, particularly how Lady Reason defines love in “The Romance of the Rose” by a woman named Christine de Pizan who challenged the misogynistic tendancies of her society in the 15th Century. In essence, she is considered one of the first prevalent voices in the movement for equality between sexes, at least in the arts. “Love is hateful peace, love is hate in love. It is disloyal loyalty, it is loyal disloyalty; it is fear that is completely confident, it is hope in despair. It is reason completely mad, it is reasonable madness…” and so on. The key words of interest are Love and Hate, not to mention that at this part of the story Lady Reason intervenes to advise the struggling traveler. Interesting. An off the wall reference from the boys from Chicago. But it keeps to the theme of the band’s concerns with human rights. (Re-education Through Labor touches immigration, but that’s for another day) Definitely a catchy, borderline poppy song, but nevertheless demonstrating Rise Against’s concern with issues as well as their knowledge of history and literature! It’s good to be back. It was an excellent weekend. Good weather. Good people. Good fun. But now it’s back to the grind. Back to work and back to my duties. I received my first email at our email address here while I was gone! I was excited at first, but then… I realized that someone had made good on my request to hit me up with any offers to help people invest millions of dollars. I introduce myself as Mrs.Belisima Bati, a citizen of Philippines, I am a top official in charge of client accounts in (EQUITABLE PCI BANK) which is now BANCO DE ORO UNIVERSAL BANK inside the Philippines the merger was 2007. I have a Business proposition for you involving a huge sum of money (Ten Million, Two Hundred Thousand United States Dollars). I want to move the funds out of my Bank but will need your help. Wow, Banco de Oro Universal Bank? No way? A Spanish bank in the Philippines! Well, it’s a real bank at least. And they ask the help of The Heap in order to help get rid of funds? This could be our shot at international fame! Or at least a good blog bit for a few entries. Why don’t we respond! I have just received your email and I apologize for not responding sooner. I was out of the office for my own business transactions. Upon reading your request and verifying the status and prestige of your financial institution, I would like to accept your offer and try to help you out. I am honored that you would choose us here at The Heap, a modest but growing organization, to help you with your business transaction. Our readership has blossomed in the past year and we have recently updated our format to include email and twitter, only increasing reader accessibility. We hope to expand and add additional staff, and it appears that you may provide us an opportunity as business partners to achieve this goal. Please respond with instructions. I look forward to our partnership. Obviously, this is a scam… but we can’t miss out on opportunities for fun! I’ll keep you updated! And for the love of God, send me some real mail! At long last, my long awaited return to campus will be tonight. Carroll Hall will be my home for a few days. So I’ll get to see how the likes of James Geyer made it around to campus. Unfortunately, I will not have my laptop with me, so we must once again go another weekend without posts. But don’t you worry, I’ve got a running list of upcoming content for when I return. It will be nice to get away from here for a bit and celebrate a happy occasion and be somewhat free from obligations. I know I’m going to be teary eyed! Lucky for you, I will have my cellphone, which means I will be able to Tweet what I am doing. Make sure to keep checking the Twitter widget up at the top left for the latest of my ND adventure! I wish you all a safe and joyous weekend. We’ll be back full time on Monday. Oh, how it’s been a while- for many things! 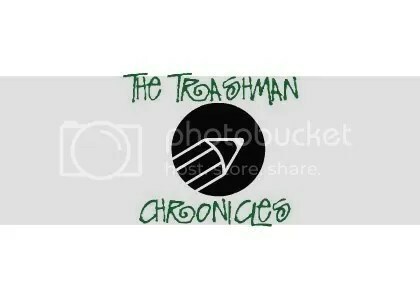 It’s been a while since I’ve had a TTMC entry, letting my readers know what I’ve been up to and how things are going since graduating from Notre Dame in 2008. It’s has definitely been a while since I had had a nice little vacation from working. And of course, it had been a very LONG while since I had seen Kitty. I don’t remember when was the last time I even did a TTMC, it’s been that long. So we’ll do a brief summary of the first half of 2009. Life’s still a bit uncertain for me, even looking at it today. It’s daunting, to say the least, but it’s nice to see I’m not alone at times. Some many friends in the middle of their own transitions, changes, and even reaching new stages in life. Whoever says they are certain about life is lying to themselves. We can only guess what tomorrow will bring. We can only hope that there is a tomorrow. Rest assured, death is a guarantee… and if you haven’t been living under a rock, you’ll know that taxes are very guaranteed these days. As for me, trash… mountains and mountains of trash… are guaranteed almost daily, not to mention a constant flow of patients with psychiatric, diabetic and/or blood pressure issues. It appears that I’ll be secure for now, and for that I must thank God. Since then, I have been working nonstop. I’ve gone out with friends when I could, but nothing too big. I did make it out to visit Tom and Bobby in Omaha for a weekend, where Mike met up with us too. ND hockey was also in town, so it was nice to see them in action. ND hockey would be the first sporting event I go to as an alumnus! Since then, just work. I’ve met my sister’s boyfriend, we’ve celebrated Mothers’ and Fathers’ Day. We’ve celebrated birthdays and graduations. My grandparents from Puerto Rico came for a month. It was nice to see them! I finally got my raise at work after my 6 month anniversary. Thanks to the trash I was able to put down a heft down payment for my new car, (post to come soon). I’ve watched someone I didn’t think would settle down this early find the love of his life, and move in together, starting life on his own. As a friend, it been a joy watching his success in work and a renewed motivation for school. Today is the night before I go up to Notre Dame. I’m going up for PV’s wedding. This will be the first wedding of a close friend I will go to, so it’s going to be pretty special to see someone take their relationship to the next step. It will be extra special with my date by my side! It will be heartwrenching to see that Dome, and the quad, and the stadium, and Dillon, and Howard, and my friends, and going out… Oh how I miss everything. So there you have it in a nutshell. I’m doing well, as I continue to grow and mature. Thank you all for reading, and may God bless you all! Stay tuned for the next TTMC entries: Kitty/Moosie Vacation Time and A Notre Dame Summer Weekend!